Rookies Matt Short and Seb Gotch have guided Victoria to a six-wicket JLT Sheffield Shield win over Tasmania late on the final day of play. Chasing 276, Victoria reached the target about 45 minutes before stumps on Tuesday. Gotch (66*) and Short (64*) showed composure beyond their years in an unbeaten 131-run stand. They came together at 4-145 after Victoria had lost in-form opener Marcus Harris (67) and Cameron White (41) in consecutive overs. 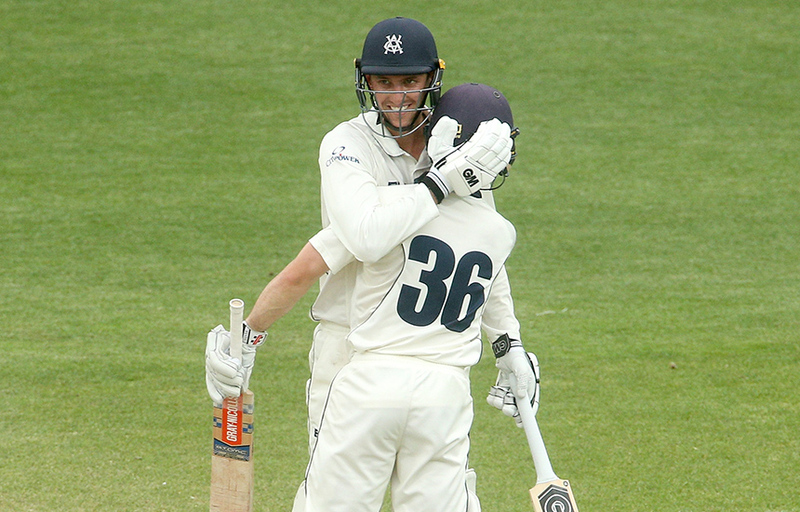 Short brought up Victoria’s third Shield win from four matches with a six off Jackson Bird (2-65). Victoria resumed day four at 0-12 after Matthew Wade helped drag Tasmania back into the contest with a brilliant 137. The 30-year-old has pushed his claims for a Test recall, with the century following scores of 72 not out, 51, 66 not out and 50 in his previous two four-day matches. The Tigers posted 476 in their second innings after being skittled for 81 in less than 30 overs on day one. Victoria next face Queensland at the Gabba from Tuesday, November 27.